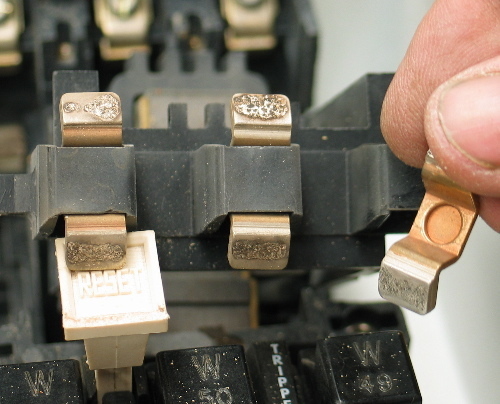 While working on upgrading some machines to mag starters, I came across a common problem. I pulled a mag starter from my rat hole to use and set it up for testing. When the start button was pushed, the contacts closed, but the starter had a noticeable hum once the contacts were closed. I took things apart, and sure enough, the standard cause of such a hum showed up; corroded contacts. Once the contact surfaces were filed and smoothed out, another test ensued. Snap! .....no hum. Problem solved. 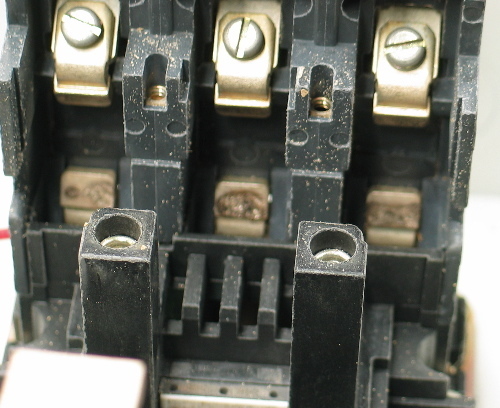 It took a little digging, but these NEMA starters are a breeze to work on. The components are large and easy to handle. This was an Allen-Bradley 509. 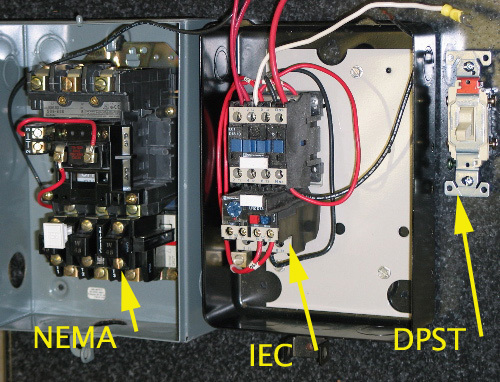 For further reference, here is a comparison picture of a NEMA starter, a European (now mostly Asian) starter, and a double pole switch from Lowes. This picture should convey a lot.